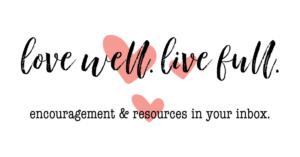 Welcome to Day 21 of 31 Ways to Embrace Lopsided Living! Well, it’s Friday. Y’all, I’m tired. For real. I could give you all the reasons but I don’t think they are much different from yours. So, I’ll spare you the details and let’s just both agree some weeks are just long and tiring, deal? 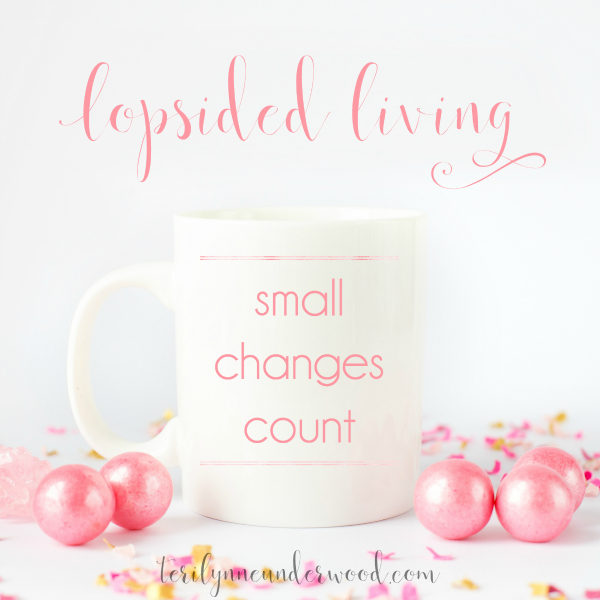 Sometimes, I get so wrapped up in doing something BIG and HUGE and LIFE CHANGING … and I miss out on the value of small and steady and day changing. Maybe, just maybe, that happens to you also? This quote from Annie Dillard keeps popping up around me. How we spend our days is, of course, how we spend our lives. It’s true, you know. What we’re doing every day becomes the sum total of our lives. Four years ago yesterday, my Pepa passed away. He was an incredibly successful businessman and a devoted husband both to my grandmother who passed away in 1981 and to our Nana Jo who passed away in 2010. He raised five incredible children, the youngest of whom is my mom. My relationship with my Pepa was the best kind. Since I’ve been working on my book manuscript, he’s been on my mind a lot. He was a writer too. I have countless poems he wrote for me, for every season of my life. The last poem he ever gave me was about three girls — my mom, me, and my daughter. Scott’s grandmother has been under hospice care in her home since February of this year. Over the past few days, there has been a noticeable decline in her cognitive function and memory. Which is, for me, a much easier thing to write than, “She’s dying.” Last weekend when I was there for a few moments, she knew who I was, but she’s becoming less and less herself. She is confused a lot. Her daughter, who lives with her, is a nurse and has been the most tender caretaker for her mom. It’s been that hard beautiful to watch. Here’s the thing, Mamaw Underwood didn’t write a best selling book, start a nonprofit, or build a business empire. She was a housewife and mom. She loved her husband, nurtured her children, cooked meals, vacuumed floors, grew beautiful flowers, folded laundry, did equisite needlework. In her 91 years she has buried her parents, her husband, her siblings, and her son. She has loved on four great-grandchildren and made sure there was plenty of bacon and cherry tomatoes available for their visits to her house. Y’all, those small things matter. 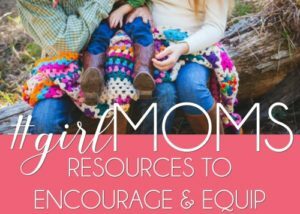 Changing our focus from the dishes to our daughters. Changing our schedules to go to lunch with a friend. 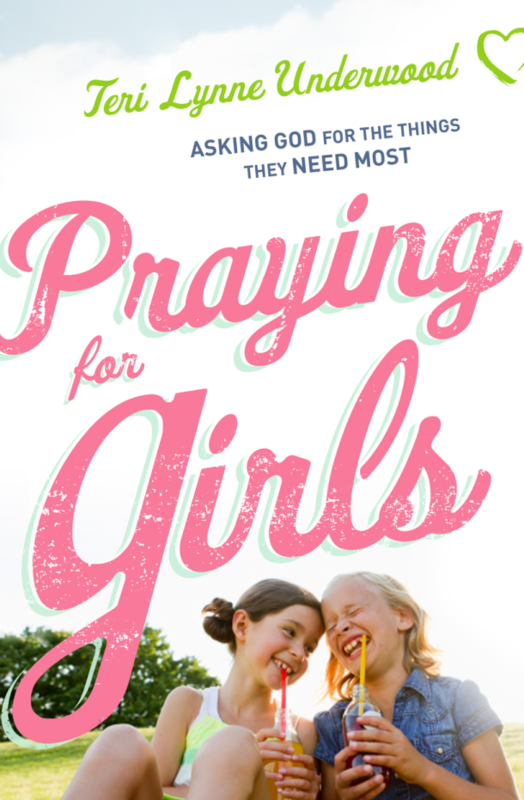 Changing our plans to spend time with our husbands. Changing our minds and serving others when we’d rather sit it out. It matters. Drink water instead of soda. Play a game with your family instead of watching TV. Let something go and spend time with someone. The ways to do this are endless … but so is the reward! Don’t underestimate the value of a small change to have a huge impact! 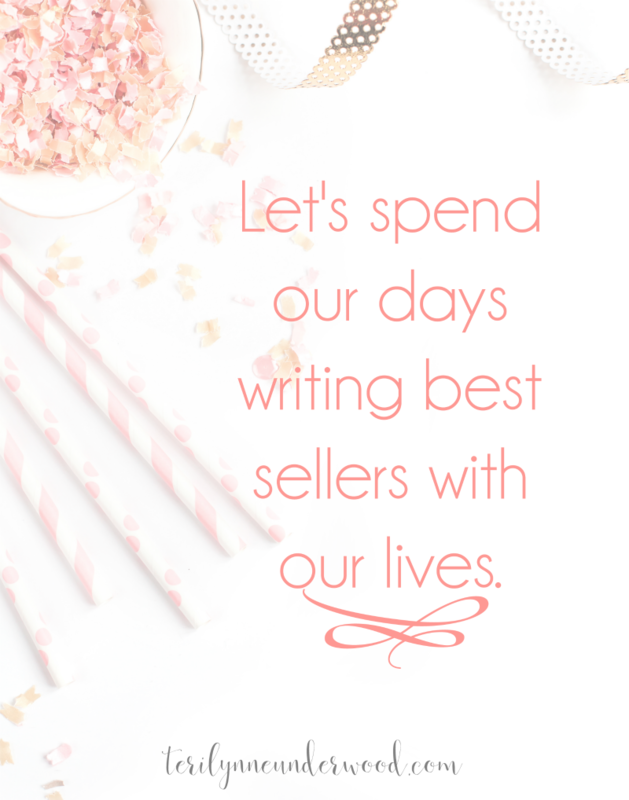 Let’s be women who are spending our days to write best sellers with our lives! Coming tomorrow: Try something new. Index to every post in this series here. Thank you Teri Lynne. This is a wonderful description of Mom…a sweet & precious tribute to her. She is not only my Mom, but my best friend, a great prayer warrior, & Christian example. She got really excited back in the spring when her hospice nurse was visiting. We were talking about our relationship with Christ. Mom looked at her nurse & said “I’m ready to go”. Then turned to me quickly & said ” Did you hear me? I am ready to go!” What a comfort to my heart that statement was to me, but also what a great witness it was to her nurse. Yes, seeing the final days of her earthly life slip by, I draw strength knowing she is ready to start a new chapter in her book…just like your Pepa . Praying my life’s chapters will be be a reflection of God’s love to those who read them. Yours are a great example …Thank you! We love you!